Tuffa UK was commissioned by Gunn JCB to design and build a bespoke steel diesel tank for Liverpool City Council. 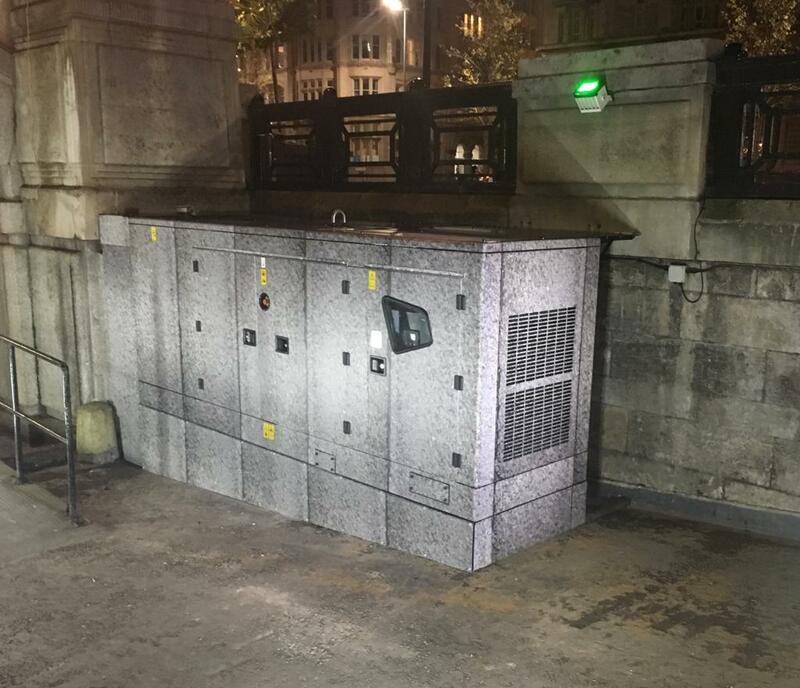 Gunn JCB was working with Kier Property Design & Business Services, to supply a generator set for Liverpool City Council’s IT department. Gunn JCB became one of the first JCB dealers in 1958 and are now one of the largest and most successful JCB dealers in the world. They offer a range of new and used JCB plant and machinery with over 70 engineers offering service support, aiming to respond to emergency machine breakdowns within 4 hours. The IT department is crucial to the smooth day to day running of Liverpool City Council. They required a back up power system to be activated in the event of the mains electricity power going down. They had specific criteria that had to be met. The Council need a minimum of 12 hours power supply to keep the IT department running, giving sufficient time to restore the mains electricity supply. They wanted a generator set supplied by a diesel holding tank to provide the back up power supply. The available space for the gen set and tank was restricted to a small footprint, but the tank still had to have sufficient capacity for 12 hours power supply. The tank and generator was to be located in front of Liverpool City Council’s historic home, the Grade II listed Cunard Building, right next door to the iconic Liver Building overlooking the River Mersey. The finish of the set had to closely match the famous Portland Stone of the buildings. 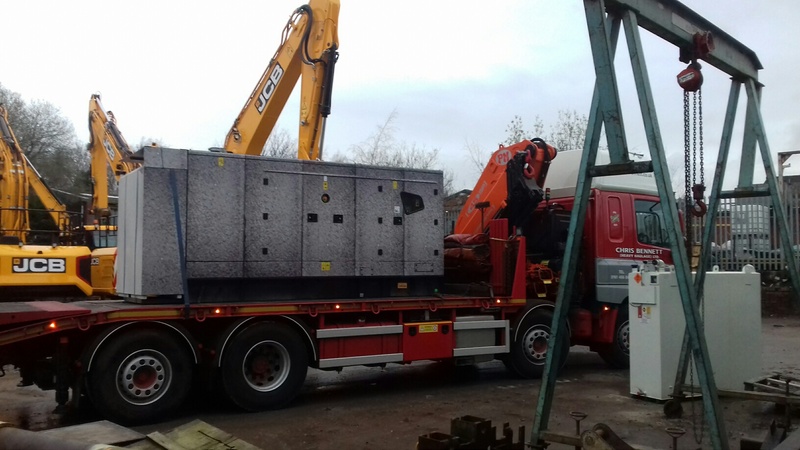 Kier Property Design and Business Services were the Mechanical & Electrical Consultants on the project, and Lead Electrical Engineeer, Steve Hunter, told us more about some of the restrictions of the tanks location. “Even the external ramp and railings are covered by the Grade II Listed status. We had to drop the tank into this restricted space, with all the cabling going 150 metres through three basements of The Cunard Building, ” he explained. Nathan Rose from Gunn JCB’s Technical Support Team remembers the difficulties caused by the restrictions. “It was beginning to look like a “Mission Impossible”. We had a specific set of requirements and dimensions that had to be met and a short time frame to achieve it. Nathan and his colleague, Simon Tunnicliffe from Gunn JCB’s nearby Marchington depot, visited Tuffa UK to specify the project. Tuffa’s Technical Sales Specialist, Mike Bailey, takes up the story. “We have the expertise to design and build what is effectively a one-off, custom-made tank to suit the project’s exact requirements,” he said. Simon Tunnicliffe liked what he saw at Tuffa. “The team at Tuffa quickly understood the brief and I was impressed with their factory and experienced, skilled team,” he added. Mike Bailey and Cheryl Wood from our production planning team designed the custom-made tank. The steel diesel tank was a slim line 500mm deep, 1400mm wide x 1800mm high. Project Lead Electrical Engineer, Steve Hunter again. “Normally we would have used a horizontal tank, but the design of the generator and the restricted site area meant a vertical tank would fit better,” he said. The capacity was calculated at 700 litres, which would provide a minimum of 12 hours power supply. Tuffa specified and costed the tank with drawings produced within two days. The order was received on the 22nd January. Tuffa’s steel workshop team got to work, and the finished bespoke steel bunded tank was ready for collection just 3 weeks later. The Benefits – Council’s IT OK! 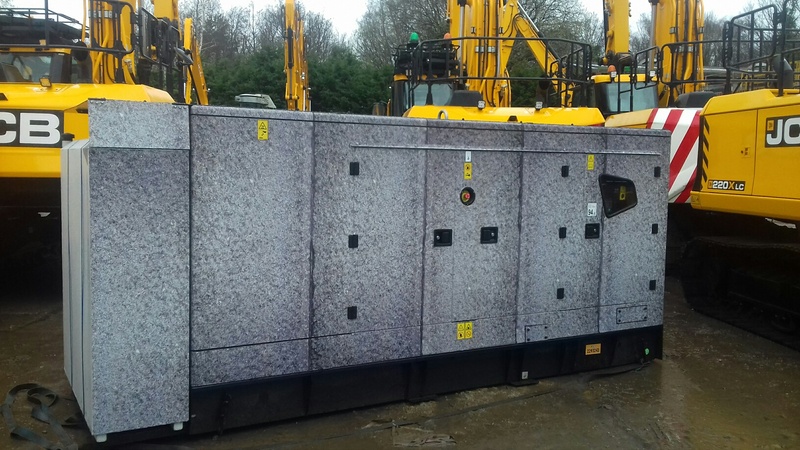 The tank and generator set was delivered and installed overnight on March 7th, then commissioned and tested by JCB Broadcrown two weeks later. The system operated perfectly and is now set up as the back up power supply for the City Council’s IT department. Gunn JCB’s Nathan Rose was delighted with the completed project. “We are grateful to the Tuffa team for helping us out and building the tank so quickly. The tank was everything we asked for and you’ve did a really good job,” he said. 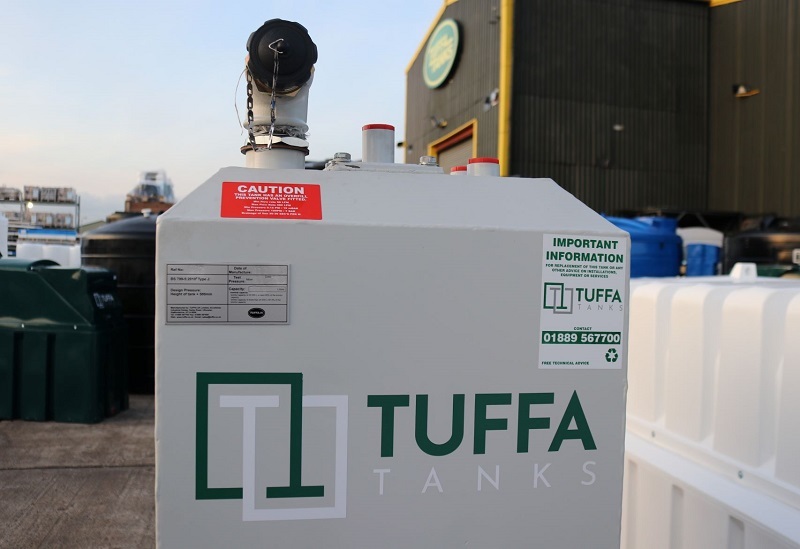 If you have a requirement for bulk liquid or fuel storage, contact us here or call 01889 567700 and talk to Mike Bailey and the expert team at Tuffa UK.